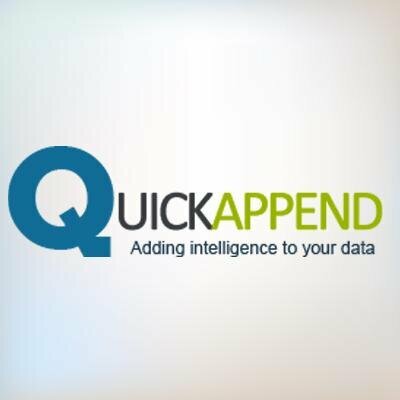 Quick Append is a data appending and email appending company specializing in IT, finance, healthcare, manufacturing, media, publishing, advertising marketing and consultancy verticals.The comprehensive Quick Append process guarantees high append rates ranging from 60 to 90% for B2B and 30 to 70% for B2C. Quick Appending offers services based on their in-house master database of over 18 million businesses and 30 million executives. Updated every month, the company provides accurate multi-channel appending and verification.